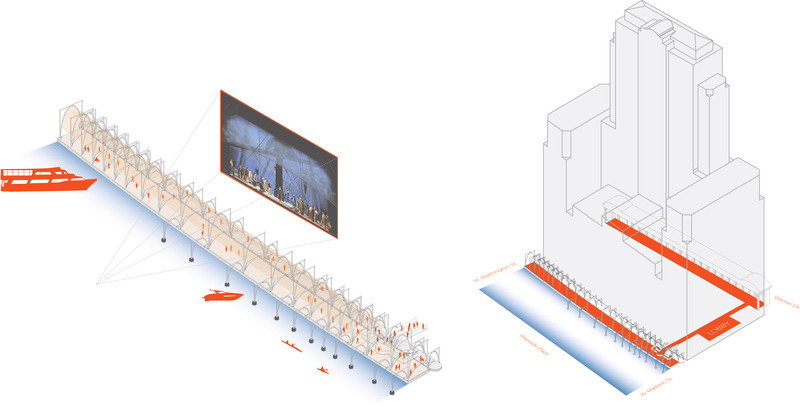 Arrival and departure from the Opera is as theatrical as the performance; however, the river’s role in this ceremony has been ignored. 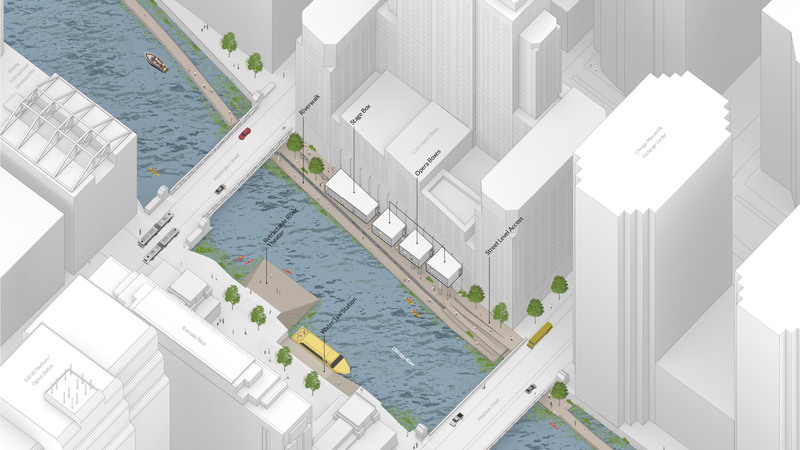 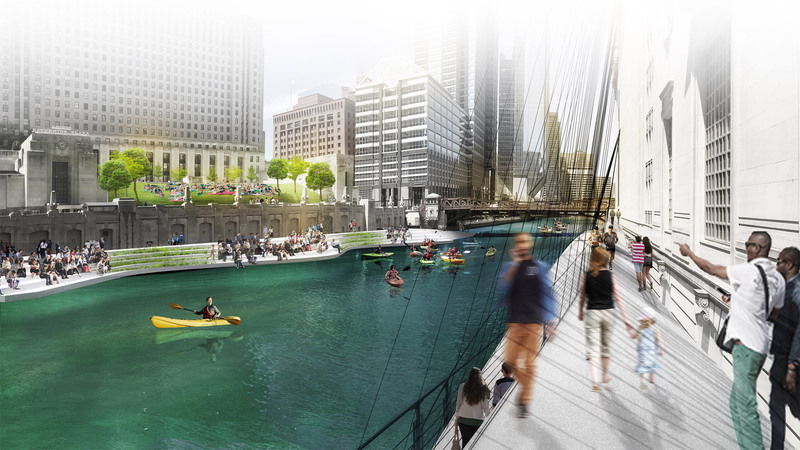 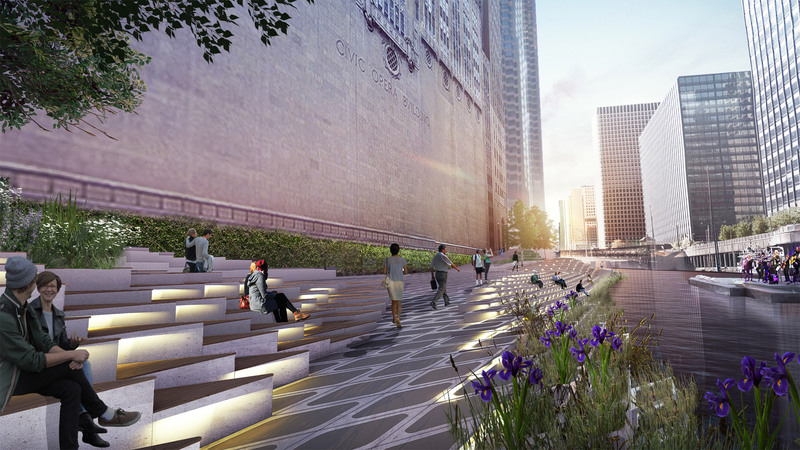 The “Lyric Colonnade” adds a grand entry at river level, extending the promenade to the river. 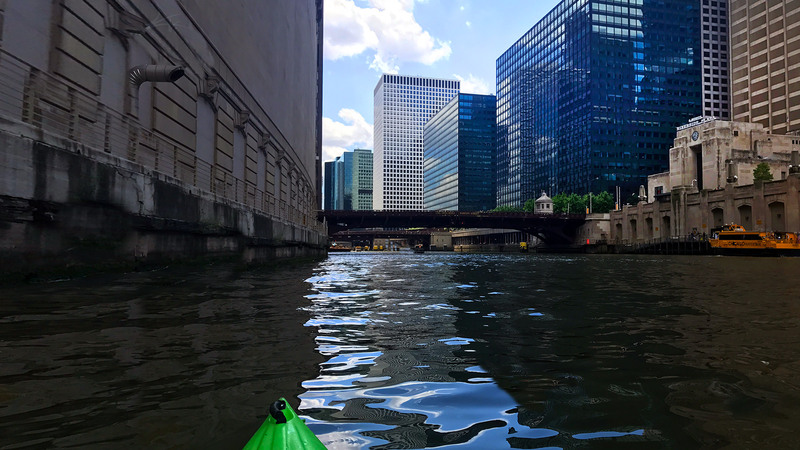 Imagine arriving to an Opera by Uber boat, Water Taxi, or kayak! 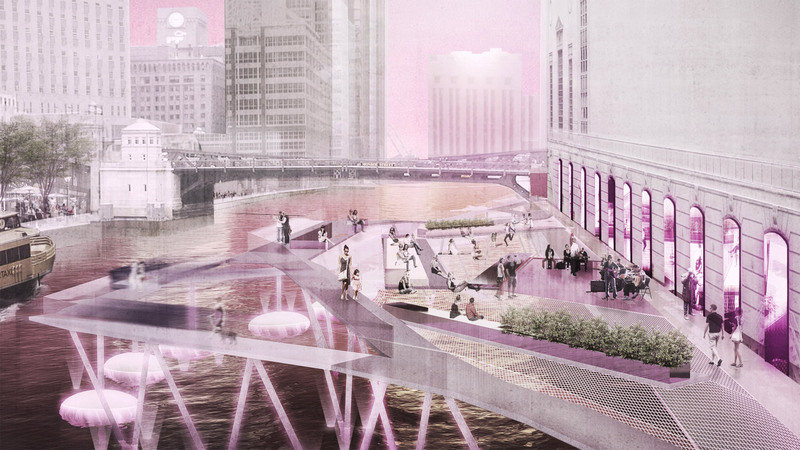 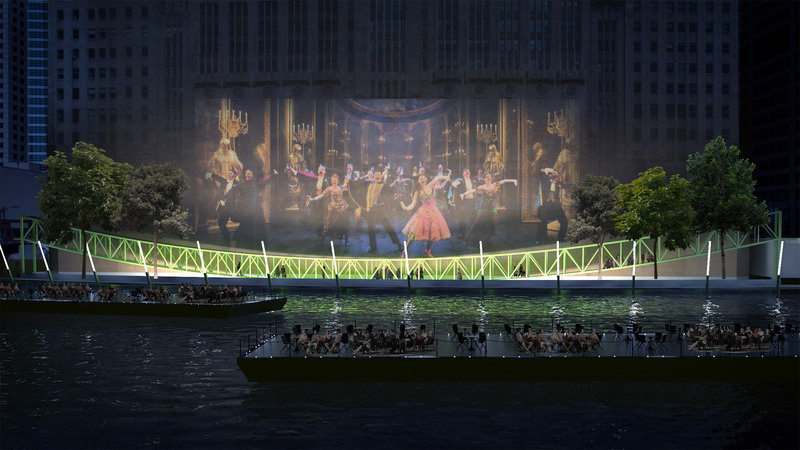 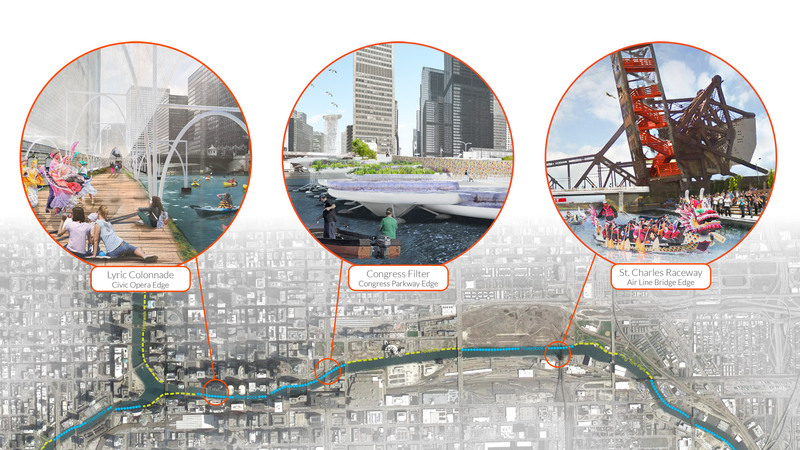 Framed by Riverside Plaza, Washington Street, and Madison Street, the floating platform serves as an urban stage, inviting the community to participate in the Opera’s ritual. 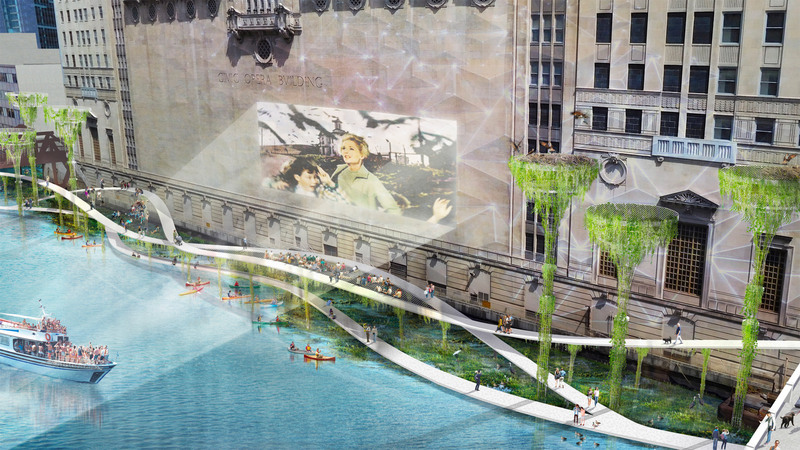 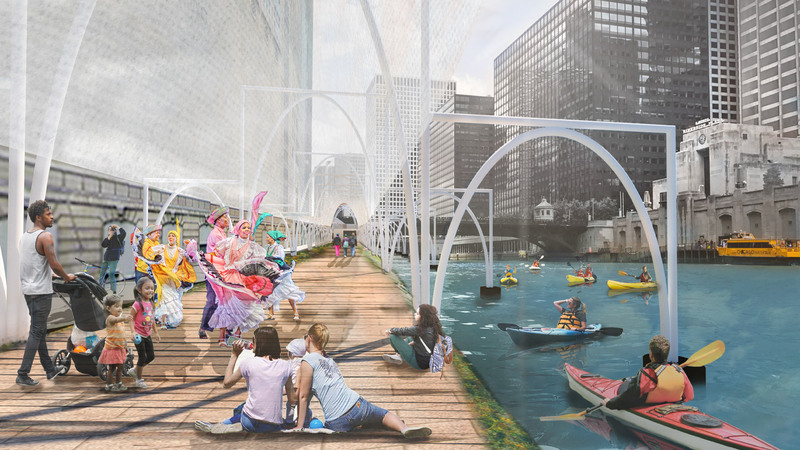 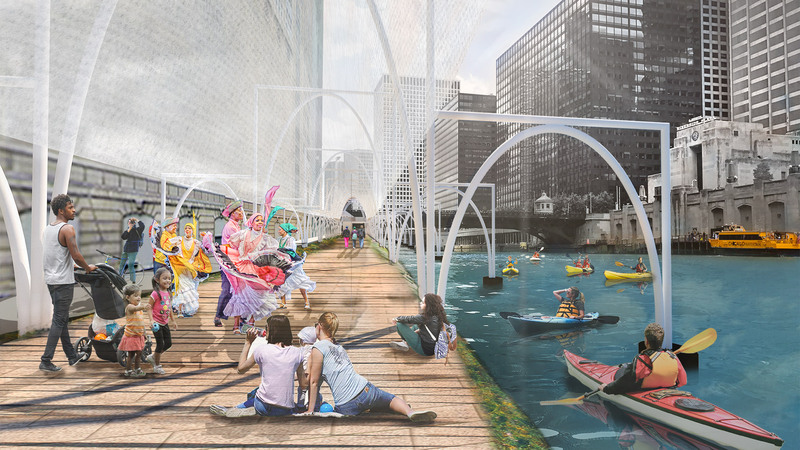 As a visible public space for the Lyric Opera, “Lyric Colonnade” can become Chicago’s newest cultural destination. 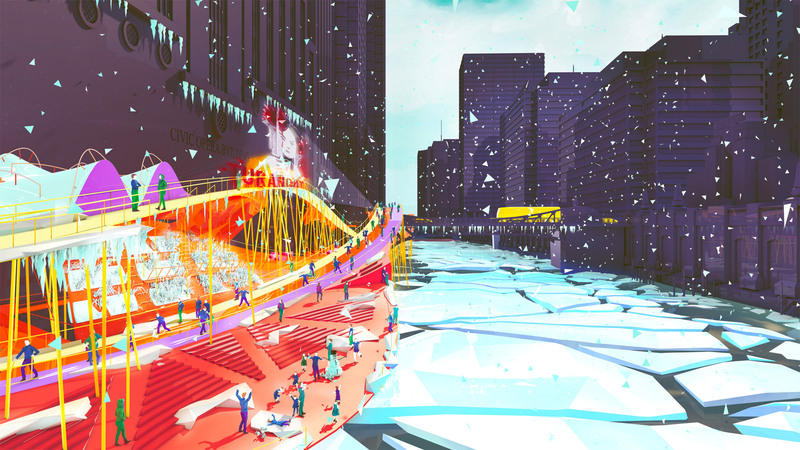 The Opera’s off-season (June, July, and August) now comes to life with aria’s, exhibitions, and river performances.